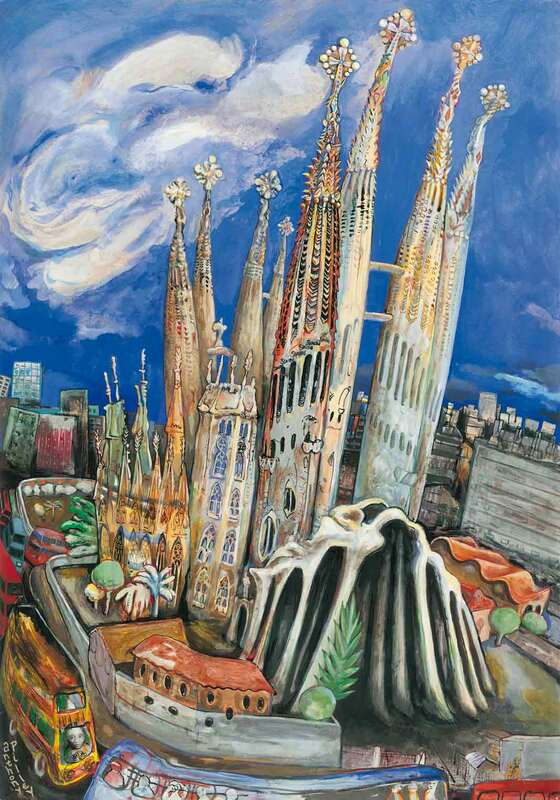 This expressive painting communicates the almost physical impact experienced upon seeing Gaudí’s Sagrada Familia for the first time. A temple and a church, the Sagrada Familia at times looks like a field of immense stone rockets poised for their journey towards the heavens. Painted from the roof of nearby apartments.